Every single person on this planet needs encouragement. Whether it’s through words or actions, we all need to be encouraged when we don’t have confidence in ourselves. 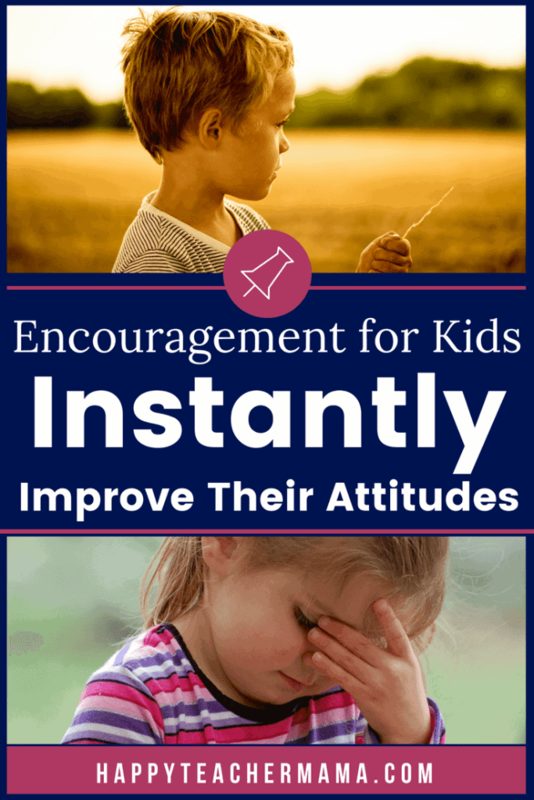 My favorite ways to provide encouragement for kids are actually nonverbal! I used these in the classroom constantly, and I’ve continued using them in my homeschool as well. Have you ever really considered the power of a smile? Think about how many times we have felt beat down and discouraged…and then someone offers us a genuine smile. Maybe it is accompanied with a handshake or holding a door for you. That one smile has the power to change your entire outlook. Now, think about how your smile is an encouragement for kids. As a teacher, your students see you first thing in the morning as they walk into the classroom. If you are scowling at them or rolling your eyes when you see that “one student” walk in, you’ve actually discouraged them instead of encouraging them. As a homeschooling mom, your smile sets the tone for the entire day…even if you are greeted with tired eyes and scowling faces in return. You are modeling an appropriate attitude. Your smile says “I care about you” and “I think you are valuable” without a single word. If you are using hand signals in your classroom, you know they are intended to prevent interruptions and discipline issues from arising. 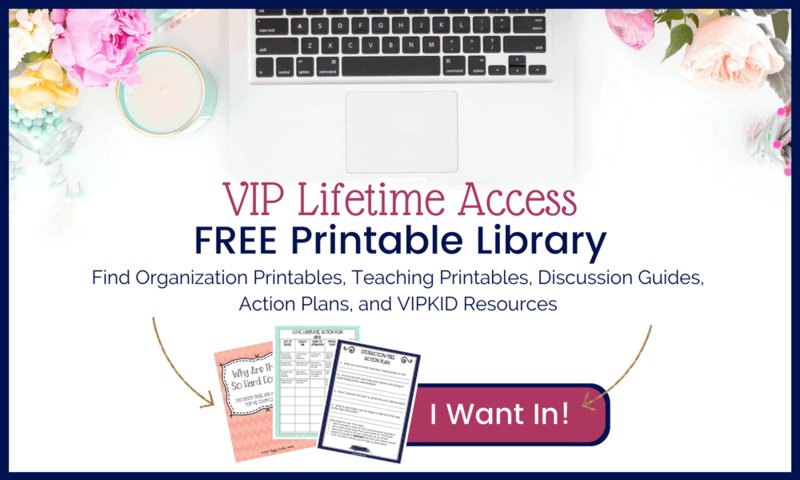 They are a classroom management tool like no other. However, I’ve also found them to be particularly effective as encouragement for kids! At the beginning of the school year, I would be the one who initiated the signal. However, as time progressed, the kids would begin signaling for a struggling student even before I did. This made my heart so happy because the kids were saying “you can do it” without ever opening their mouths. It created a wonderful classroom environment, and provided encouragement for kids in our classroom every time! When I was teaching third grade in the public school system, I had a child who had been through a lot of trauma in her young life. And because of this, she had developed a personally destructive habit. Whenever she got nervous or stressed, she would pull on her hair. And it got to the point that she was creating bald patches on her head. I had been in contact with her adopted mom to discuss possible solutions for this habit. After meeting together, the little girl, mom, and I came up with a nonverbal cue that would serve as a reminder for her in class. Whenever I saw her pulling her hair, I would make eye contact with her and show her the hand signal. Occasionally, I would have to say her name out loud to get her attention and then give her the signal. However, this didn’t have any impact on the other kids because they didn’t know what the signal meant. This proved to be a very useful technique for her and was a simple way to resolve a situation that could have been very embarrassing for her. The last two ways to nonverbally encourage kids may seem obvious, but as with many things in life, sometimes the most obvious things are the ones we overlook. They are such a useful way to encourage kids. Just put your hand up and kids will automatically give you a high five. It’s such a natural reaction and represents a job well done. Consider this, the next time you watch a ball team score the winning touchdown. Hugs, jumping, and high fives all around. This same positive reaction happens when high fives are used in the classroom. They say “I am proud of your effort.” And they truly have the power to transform a child’s attitude and confidence. The same rule applies to a thumbs up. It is a nonverbal way to tell another person that we agree or approve of what they said or did. And this cue is such an encouragement for kids…especially when accompanied by a smile. No matter which of these cues you use, you’re going to be providing encouragement for kids that cannot be duplicated in any other way. This is just as important, if not more so, when these same cues are used by kids to encourage each other. Knowing that another person approves or thinks they are important, helps our kids learn to believe in themselves. This in turn gives them the confidence the encourage someone else. Thank you for the reminder! Needed in this busy, task-driven world.